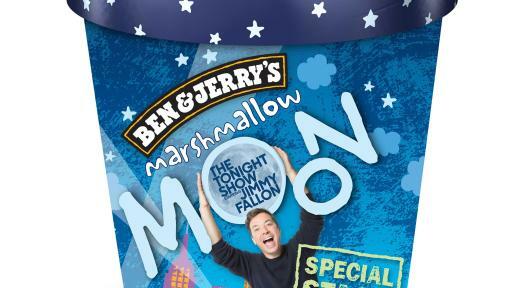 Get Marshmallow Moon for a Limited Time! Burlington, VT—November 2, 2017— Tonight Show host Jimmy Fallon had a special treat for lucky fans in Studio 6B last night: they were the very first ones to get their hands on Jimmy’s latest Ben & Jerry’s flavor. 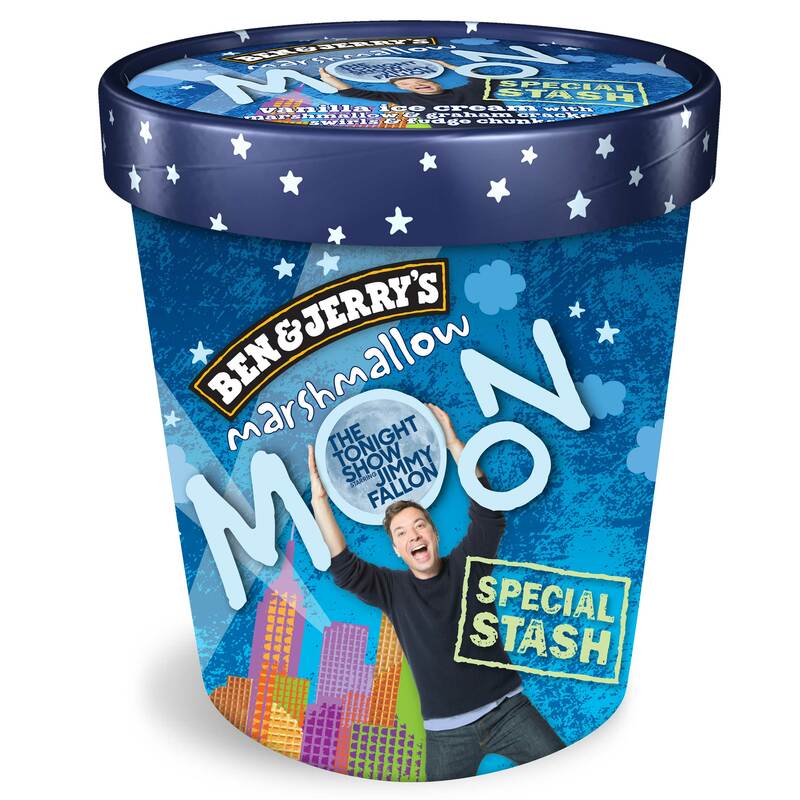 The new concoction, Marshmallow Moon, is a vanilla ice cream with marshmallow and graham cracker swirls and fudge flakes and is available only for an extremely limited time on Ben & Jerry’s e-commerce store and participating Scoop Shops. This flavor kicks off Ben & Jerry’s Special Stash offering, where the ice cream maker will churn out small-run artisan batches of funky flavors available in Scoop Shops and store.benjerry.com for fans to purchase for a limited time only. 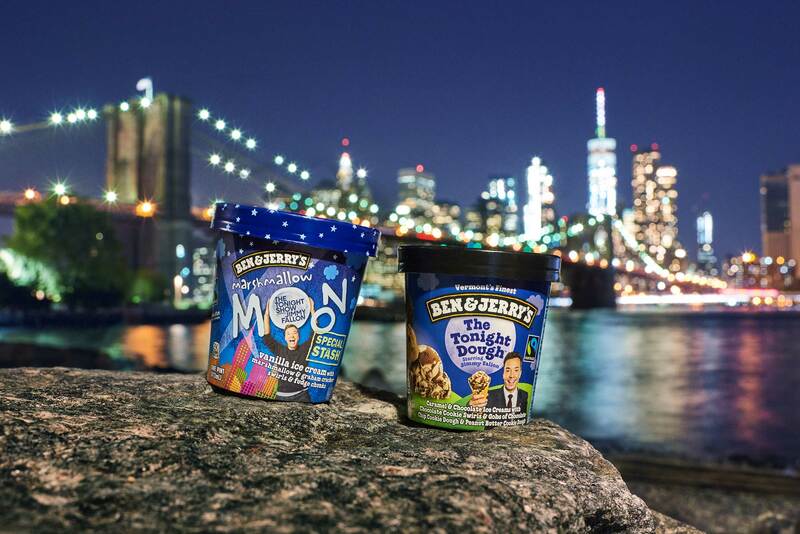 The Marshmallow Moon flavor was developed over two years ago and almost netted the position in place of Fallon’s current full-time flavor, Tonight Dough. 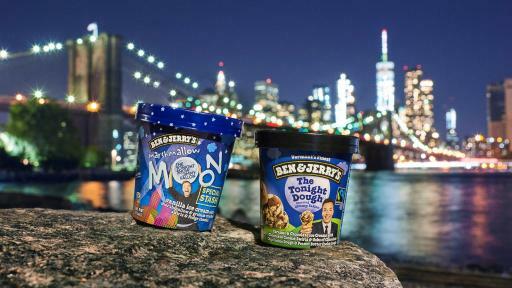 Tonight Dough has earned a spot as one of Ben & Jerry’s top ten flavors ever since its release. Like Tonight Dough, all of Fallon’s proceeds from every Marshmallow Moon pint sold will benefit the SeriousFun Children’s Network - an organization committed to providing children living with serious illnesses with life-changing camp experiences, in the safest and most supportive environment and with the highest-quality medical care. Proceeds from Tonight Dough have raised more than $1.2 million dollars for SeriousFun, supporting programs that have a lasting impact on the lives of children with serious illnesses and their family members around the world, totally free of charge. SeriousFun Children's Network is a global community of 30 camps and programs serving children with serious illnesses and their families, always free of charge. Founded by Paul Newman, SeriousFun has served more than 864,000 children and their family members from more than 50 countries since the first camp opened in 1988. Each member camp is an independent, not-for-profit organization dependent upon private funding to serve all children at no cost to their families. To learn more about SeriousFun, visit www.seriousfunnetwork.org.